The 1098-T form is a required IRS form to report payments of qualified tuition and related expenses (QTRE). Qualified tuition and related expenses include courses for which you can receive academic credit. Keep it with your tax documents and consult your tax preparer or the IRS website at http://www.irs.gov to determine if you are eligible to take advantage of education tax credits. For students who had payments for qualified tuition and related expenses (QTRE) during the tax year, a 1098-T form will be made available in the month of January for the prior tax year. LCCC cannot advise whether or not you qualify for a tax credit. Questions regarding your 1098-T form? If you have any questions concerning your 1098-T statement, please contact Bursar’s Office at (440)366-4045. Your 1098-T form will appear for you to view using browser functionality. 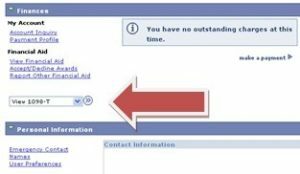 Why didn’t I receive a 1098-T form for the year? No enrollment hours for the calendar year. No payments received for qualified tuition and related expenses during the calendar year. Box 5 total (scholarships/grants) is equal to, or greater than, Box 1 total for qualified tuition and related expenses. Generally, students whose qualified tuition and related expenses were paid in their entirety by scholarships/grants are not eligible for education tax credits. You had adjustments (registration and/or financial aid) from the prior year. Once again, LCCC cannot advise whether or not you qualify for a tax credit.